Fall finally arrived in our area, so last Saturday Jim and I along with another photographer friend went out to shoot some fall color. We started at Forest Park, intending to drive through looking for inspiration. What we didn't know was that there was a huge run taking place that morning. Parking and traffic were quite a mess, but we finally found a spot near our intended location at the Muny. 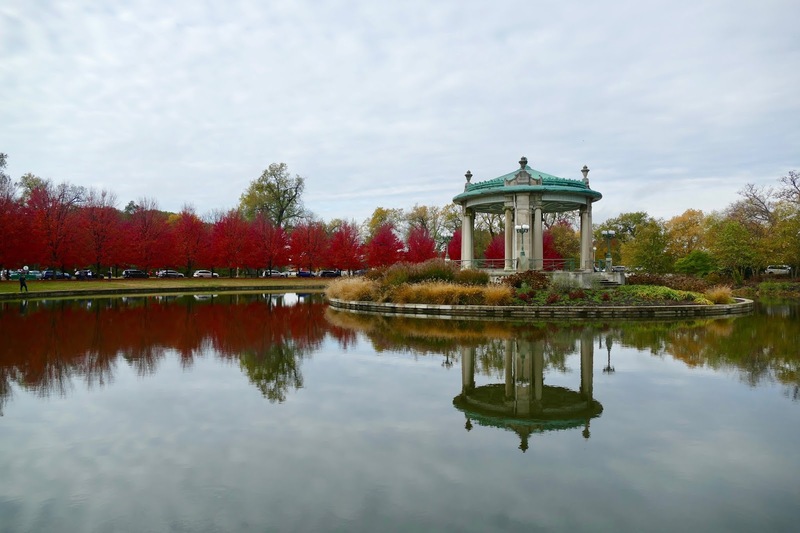 The lake and bandstand outside our outdoor theater never disappoints in any season, but it is bathed in brilliance in the fall. This year was no exception. From there we made our way over to the zoo, which is also located within Forest Park. 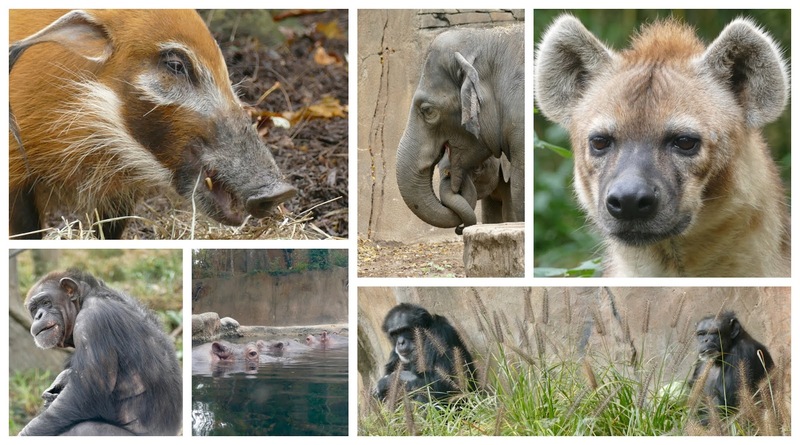 Despite the overcast skies and cooler temperature, the zoo was actually fairly crowded. Many of the animals were out, though we were not lucky enough to get close to the new cheetah family. In November of 2017, the female cheetah gave birth to eight cubs, a first in zoo history. The normal size of a litter is four. The cubs were kept out of the public eye until May of this year, but sightings of them are still pretty rare. Here are some of the other animals we saw though. While walking back to the car, we stopped to admire the trees around Art Hill. The colors were outstanding, and there were many people taking advantage of the beauty to capture family photos. I really enjoy our photo walk outings, and the opportunity to be outside taking pictures with other people who get my obsession.